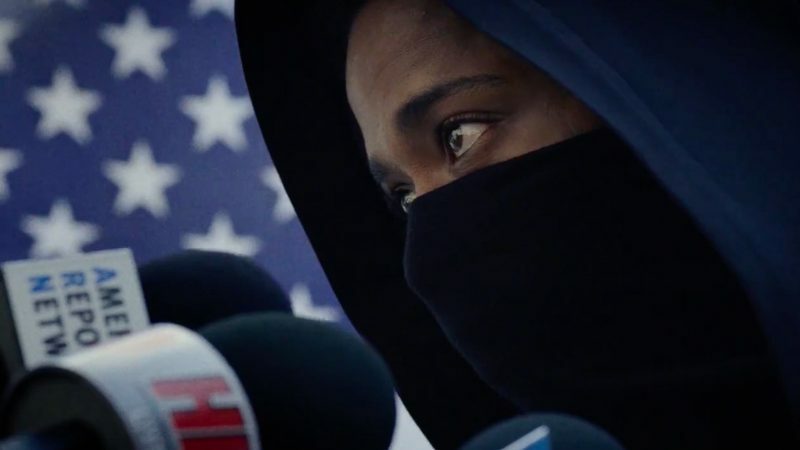 "Fans of the anime be warned, this is not the anime"
Yet another attempt at the live action treatment of a popular manga/anime series, Netflix drops Death Note and the result is... intriguing to say the least. For all intents and purposes, the popular television show, this film is not. Rather, this version attempts to put its own spin on the established elements of the Death Note world. 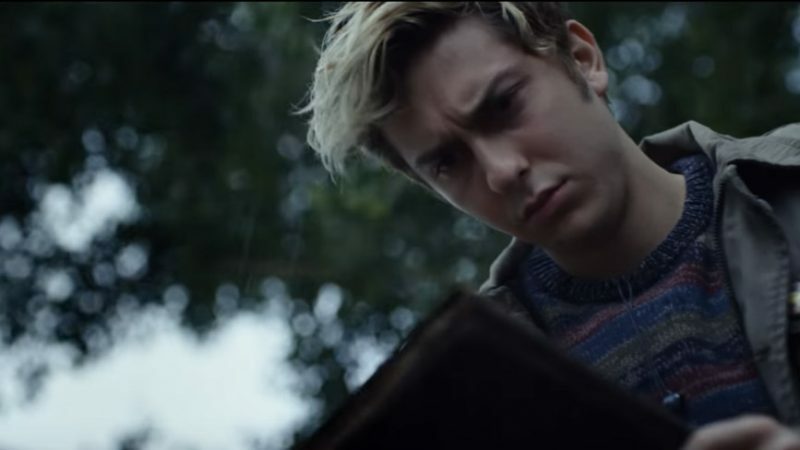 Set in Seattle as opposed to Japan, Light Turner (Nat Wolff) comes across a mysterious book that has fallen from the sky called the Death Note. Soon after, he attempts to interrupt an attack on an unsuspecting kid by a bully where he is knocked out. A stint in detention brings Light up against a force he doesn't yet understand in the death god known as Ryuk (Willem Dafoe) who explains to him the basic function of the note: that anyone whose name is written in the book will be fated to die. It is as absolute as if it were set in stone. Once Light successfully tests out the Note, he begins to form an idea that it could be used to help people by doing away with the worst people in the world, those who have committed heinous crimes. Under the guise of the deity of Kira, he and his new girlfriend, Mia Sutton (Margaret Qualley) embark on a crusade to be the savior for those who do not receive justice. Ultimately, Light's crusade puts him at odds with a mysterious figure called 'L', (coincidentally, Lakeith Stanfield), a skilled detective trained from childhood, who could give both Batman and Sherlock Holmes a run for their money. From there, the film enters a space of the cat-and-mouse thriller genre. In a different film, this might have mean carried more weight. Here, it is more amusing to see the shift the film decides to make. Netflix's Death Note, tells two stories. One is the story of a bright teenager who is a loner, aiming to impress a girl and the love story within that. The other is a tale of a sharp detective trying to bring a mass murderer to justice. Right from the beginning of looking at the property of Death Note, anyone who knows the anime series even remotely, knows that Light trying to impress a girl has nothing to do at all with his motivations with the Note. This is a convention in movies that is more common in American films with teenage male characters at the center. The culturally Japanese elements, as well as the more thoughtful pieces and themes are virtually nonexistent. However, if you look at this as a kind of fanfilm when looking at it against the anime series, which helps, you might not be as disappointed. That is, when you compare it to the series. When you look at it on its own though, you still might come away with more than a few pieces that bother you. The love story angle, for instance. It is portrayed in a way that has little depth or complexity resulting in a dynamic that feels forced and unnatural. This is probably more a problem of the writing than anything else, but still the execution leaves much to be desired. Light and Mia are not given much to connect and bond over other than the Note so there is no real sense of why they would see each other as potential people to date beyond the fact that they are both young and attractive. The other bit is Ryuk's minimal presence. For a death god, even in the context of this film called, you know, Death Note, it might have been nice to see more of him outside of the places where he is explaining the rules of the book. He felt more peppered in throughout the film after his introduction. Then of course, there is the dynamic between Light and his father, Detective Turner. There is only one minimalistic dinner scene in the film that displays a bit of conflict between the two, where their dynamic is a little authentic and that was mostly due to the talent of Shea Whigham, who manages to make the most of the moment. Outside of that, there really aren't many moments for the two to develop a father son dynamic that means anything. The strongest aspect of the film was the chess game between Light and L. In the moments where L is working, trying to solve the case is where the sense of direction feels more purposeful and focused. Lakeith Stanfeild's portrayal as the expert detective is calculating, measured and lends a particular sharpness to the proceedings. This take on the Death Note property is a not the popular show you know and loved. It isn't supposed to be and we can forgive it for that. On its own merits as a film however, there are several things that can be challenging to move past. Give it a look should you be curious, but one shouldn't expect to be floored by its awesomeness.